First, let's just disregard the fact that YGF hasn't blogged in nearly a calendar year. OK? OK. Let's talk about HOPE. Hope is this spring's theme. It's every spring's theme. Winter was tough. It had is seasonal ups and downs. Even when it was mild in the middle of winter, tailwaters didn't get me jazzed. 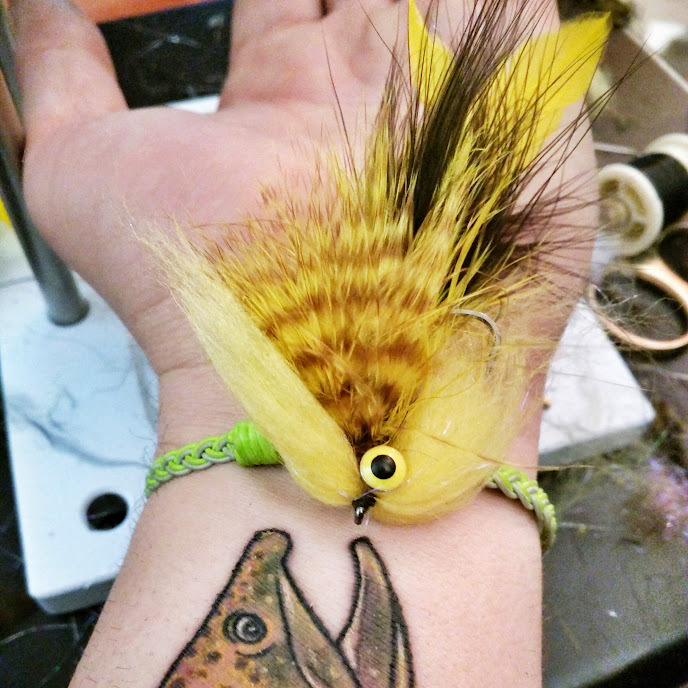 Freestone streamer fishing was on the brain. After several weeks of cold and snow, we had a break in the temps. Pre-spring sprung. In my hopeful mind, I had visions of streamer-green water filled with hungry brown trout tucked under cutbanks waiting for an early season meal. Logic would tell me that with several feet of recent snow and rising temps would muddy the water up too much. But, logic has nothing to do with hope. Denis and I left Denver and two hours later we were greeted with some extra green water. Probably too green. But, I was hopeful. Logic won out this day. By 10:30, the river was yoo-hoo. We headed upstream. Upstream of a trib that dumps sediment in the river pretty consistently. We were greeted with clear water. But, by the time we unloaded the car and grabbed our gear, there was more yoo-hoo. Hope was dwindling. Logic had won out. Back in Denver, I told my friend Cody that I hit up a freestone in this warming weather. He said, something to effect of, "You're better than that...I thought you've been fishing for a while...It was always going to be chocolate milk." He was right. But, hope is a powerful thing. Here is to hoping. snatube is the best one like music,videos etc.,.